When all your fondest hopes and wildest dreams come true, and your heart nearly explodes with happiness, it's easy to feel joyful. But what about the valleys? When nothing seems to go your way? When everything is falling apart? When God is silent, and you feel all alone? Where does joy fit in those moments? 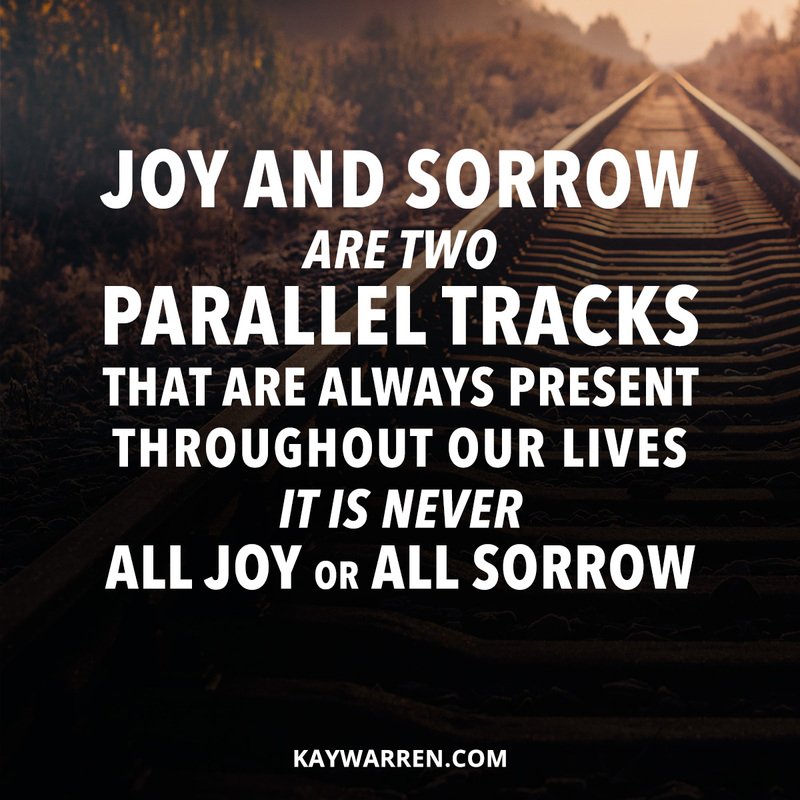 In Choose Joy, acclaimed author and Christian leader Kay Warren shares the path to experiencing soul-satisfying joy no matter what you're going through. Joy is deeper than happiness, lasts longer than excitement, and is more satisfying than pleasures and thrills. Joy is richer. Fuller. And it's far more accessible than you're thought. Joy comes from God...and it can be yours! Today. When Kay wrote Choose Joy: Because Happiness Isn't Enough, she revealed that she had a close family member who was living with a mental illness. Kay spoke about the challenge of choosing joy in the face of a struggle that was very dark and scary at times – both for her loved one and for herself. Her family's “struggle” became catastrophic loss when the Warren's twenty-seven-year-old son, Matthew, took his life in April of 2013 after two decades of intense, painful – even tortuous – mental and emotional suffering. 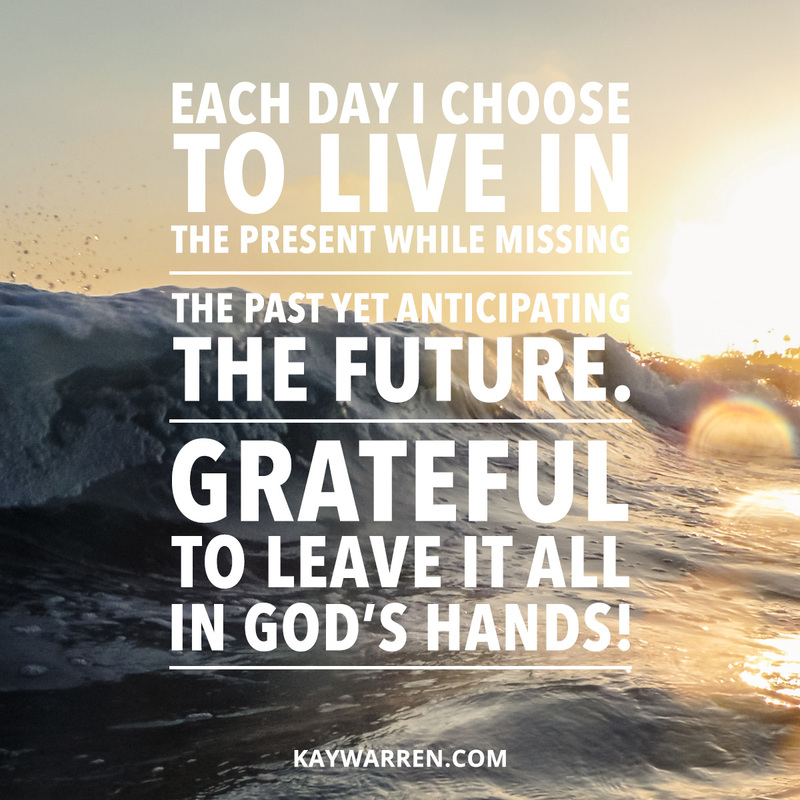 Kay really believe that God allowed her to write Choose Joy before Matthew died to prepare her for what was ahead, so that when he died, Kay had the tools she desperately needed to survive and even thrive during one of life’s most tragic losses. "Joy is the settled assurance that God is in control of all the details of my life, the quiet confidence that ultimately everything is going to be all right, and the determined choice to praise God in all things." 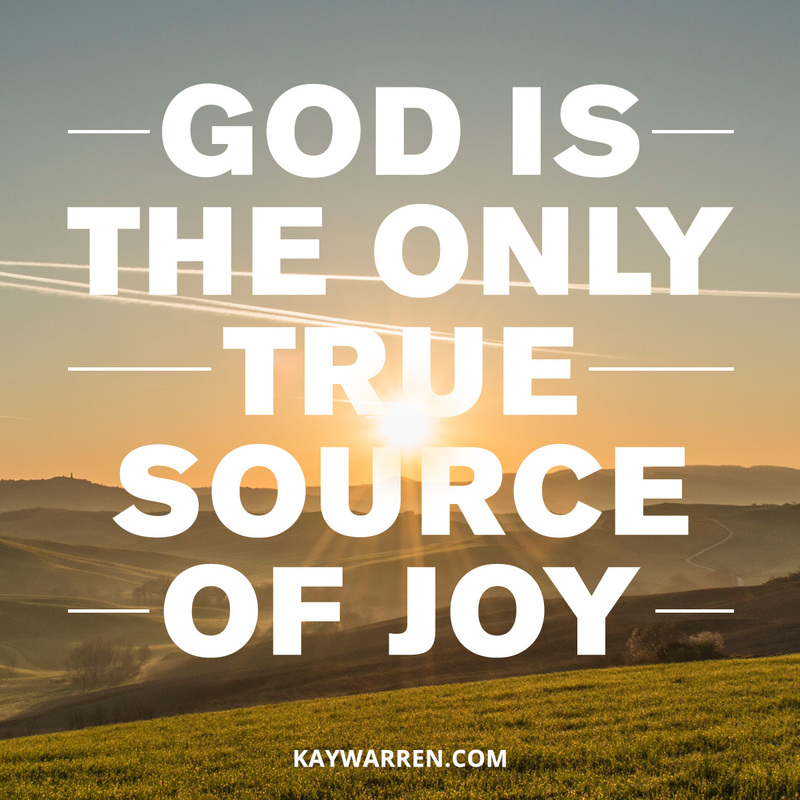 In this four-week video-based study, Kay Warren shatters common stereotypes about joy and uncovers unsatisfying sources of joy that many of us depend on. You may be surprised to discover that joy isn't all what you expected it to be, but rather something deeper and richer and accessible to every woman. 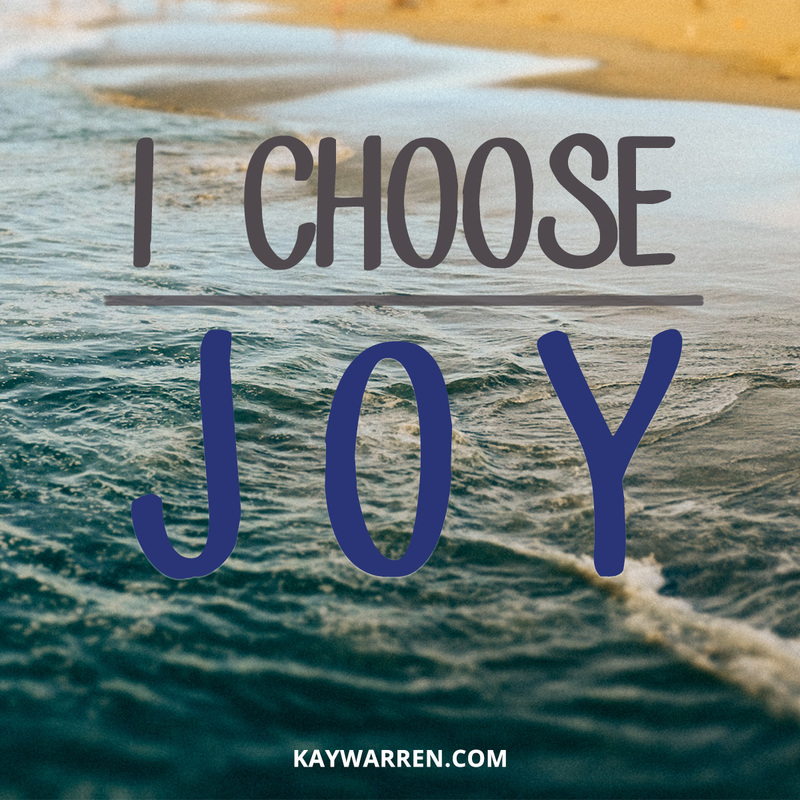 With deep compassion, Kay offers thirty devotions based on the life-giving principles of her book, Choose Joy. Each devotion begins with an encouraging Scripture, followed by Kay's wise words on how to live with joy even when life is hard, our plans are shattered, our health fails, or it feels like we are walking through life alone. Each devotion ends with a short prayer to help bring you closer to the source of all joy - our loving God.